Audio/video tenant station for Multi-Unit entry system. It is equipped with Door Release,Option,Guard, Talk, and Off buttons.The unit also has pan/tilt/ zoom control and a light adjustment button for the PTZ camera at the entry. When a visitor calls, the tenant station rings and video is present. The call is answered by one touch of the Talk button. used as necessary.panels are intermixable within a system.Audio and video tenant stations are also intermixable, allowing up to two video stations and two audio stations to be used in the same tenant location.Communication is hands free at the entrance station when a tenant answers the call. • Semi-flush mount, with the option of a rain hood (, or surface mounted with hooded box . 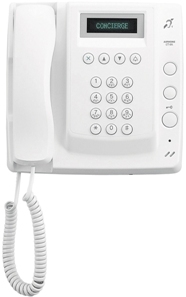 10-key keypad for calls to both tenant stations and entry panels and a handset for private communication. 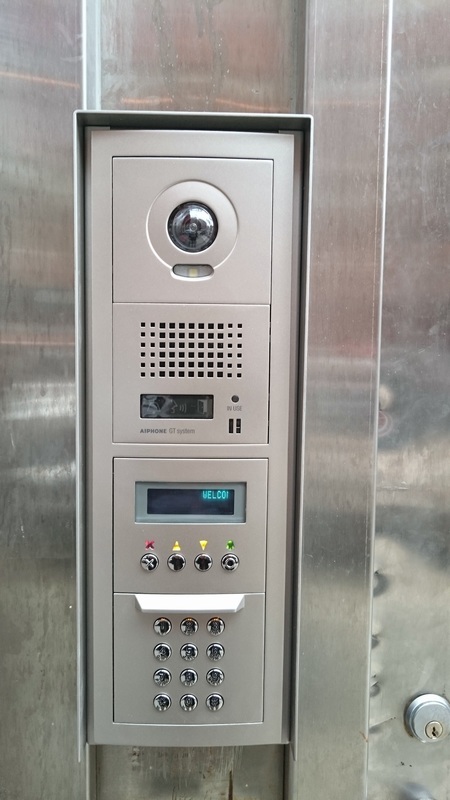 The unit also has up/down buttons for name scrolling and a door release button to selectively open the entrance where communication is established. The station is an audio only tenant station for the Multi-Unit entry system. 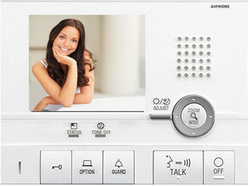 It is equipped with a Talk, Door Release, and optional Service Button. house, medical office, car dealer , supermarket .etc. communication with the door station,as well as door release activation. 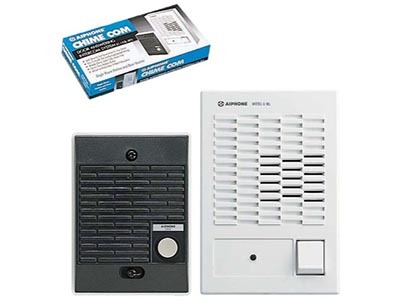 2-tone chime, not adjustable volume , press TALK button to reply, release to listen, power automatically shuts off circuit. one inside station, and power supply.